Edge finish- after the edge of the shoe is trimmed, it is stained with the desired color ink or a natural dressing is applied. Over this a film of hard wax is applied under the pressure of a heated iron. Edge setting- finishing the edge of the soles with polish or wax applied under heavy pressure with a hot vibrating iron or by rubbing. Edge trimming- the first operation in finishing the sole edge is that of trimming. The edge trimmer finishes the outline of the sole and shapes the edge. This is done by machine using rotary cutting wheels. Edging- beveling a narrow scarf from leather or fabric, particularly where upper parts are joined by other than lap seams or where upper edges are finished by burnishing. The work is done on a skiving machine. 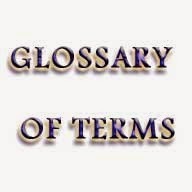 Elastomer- a material which stretches at room temperature under low stress to at least twice its length and snaps back to the original length upon release of stress. Epoxy resins- can be formulated into excellent adhesives, some of which are used in footwear for heavy duty applications such as the cementing of outsoles for use in adverse environments. Ethylene- vinyl acetate (EVA)-copolymers from these two monomers from a class of plastic materials. They retain many of the properties of polyethyelene but have considerably increased flexibility for their density. Elongation and impact resistance are also increased. Has been used for outsoles. Blended with petroleum wax. EVA is used extensively for hot melt cement.